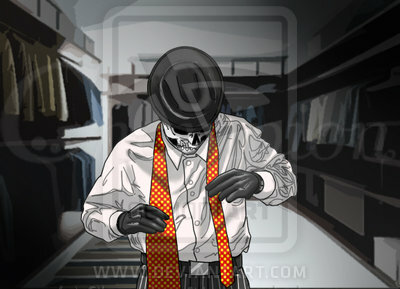 Skulduggery - Damn tie.. . Wallpaper and background images in the Skulduggery Pleasant club tagged: skulduggery - damn tie. skulduggery fanart. This Skulduggery Pleasant fan art might contain máscara de gas, respirador, casco de gas, and gasmask.